← Be a professional driver: Get your driving course today! One of the reasons why many drivers are not interested in getting an advanced driving course is the cost that they will pay. Getting a driving course will require you to stay in driving school for a certain period of time, especially if you are not that fast in learning your driving lessons. That is why many aspiring drivers are tempt to just ask for family members or friends to teach them how to drive instead of going to a driving school, but this is not the best way for you to become a safe driver. As a learner, going to a driving school is a must for you because you have the tendency to get into accidents if you are not properly trained. The driving lessons that you will be learning are all important as for your preparation to drive independently. Driving schools have the best driving instructors who will teach you all the techniques and traffic laws. Another reason why you need professional driving instructor is they have the right vehicle that will suit your needs. The dual-control car that they are using will help them train you to navigate safely. Your family and friends may have the good intention to teach you but they do not have enough knowledge to impart and instill to your minds the vital rules of driving safely. Driving schools will help you pass your driving test also because they have the professional instructors who create the manual that you will be using to study. Moreover, driving schools have the updated laws of traffic which will surely come out in your examinations. The driving test has two parts. First is your written exam which will ask you the different signs, warnings, laws, rules and regulations. The second part of exam is practical driving which will measure how much you have learned during your driving course. There are certain situations given to you that will need your alertness in solving certain difficult situations that commonly happened which will lead to major accidents. If you haven’t gone to a driving school, how will you answer all of these? This is the main reason why you need to go to a driving school. Wannadrive.com is one of the trusted sites that provide you names of driving schools that are reputable and have the best record in providing students best customer service. The site is highly focused on giving you possible schools near or within your area. Choosing for the right school is very important. It is because in the driving school that you have chosen will depend how you would become someday. Though you will pay a little bit expensive but everything is worth in the end because the lessons that you learn will be your guide all throughout your life. Be wise, choose right! 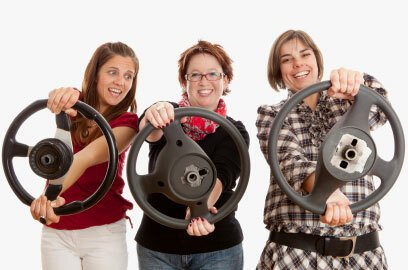 Getting a driving course will make your life safe and lessen all the possibilities of getting into accidents. Visit wannadrive.com right now and get more essential information about driving. This entry was posted in Driver Educations Programs, Driving Schools, Uncategorized and tagged necesity of driving school. Bookmark the permalink.